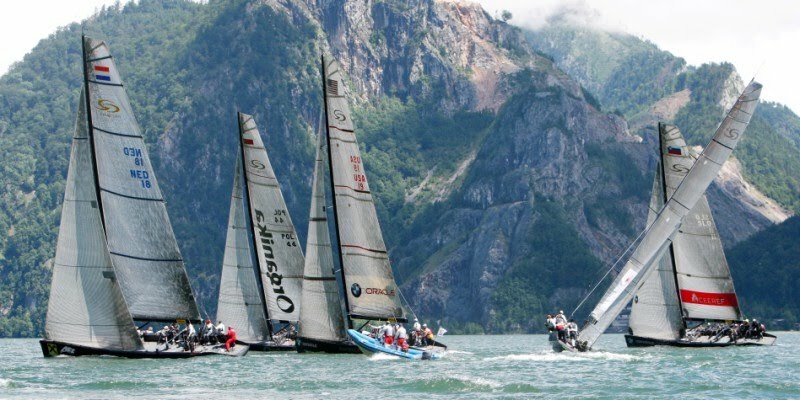 The RC 44 Austria Cup will take place on April 29 – May 4. The level of the Tour is such that it is impossible to name a favourite. 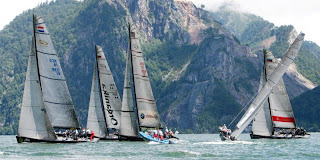 The second regatta of the RC 44 Championship Tour 2010 will begin on Thursday, April 29, on Lake Traunsee, in Austria. Photo: Copyright Maria Rambuske - GEPA / RC 44 – The RC 44 Austria Cup is one of the sailor’s favourite’s events. The stunning scenery definitely changes them from the usual sailing venues. Tough job for the bookmakers! Recent winner of the America’s Cup at the helm of BMW ORACLE Racing, James « Jimmy » Spithill is the skipper of a new team called RC 44 Challenge. His crew is made up of a combination of America’s Cup sailors - such as John Kostecki - and genuine amateurs, as required by the Class rules. Other new faces involved in the RC 44 Austria Cup include Harm Müller Spreer, who will be Team Sea Dubai’s fleet race helmsman. Owner of the well known TP 52 Platoon, Harm Müller Spreer is a successful Dragon sailor; he became European champion in 2004, finished second at the 2005 worlds and is a triple Gold Cup winner. Russell Coutts is also back on the circuit for the first time since last year’s Portoroz Cup. Larry Ellison will steer BMW ORACLE Racing during the fleet races whilst Coutts will be at the helm on Thursday and Friday for the match race. Finally, Team Austria, the local team headed by René Mangold, will be keen to perform in front of its public. The Austrians managed to win two fleet races in Dubai earlier in the season. “We have improved a lot but we need more continuity”, comments Christian Binder, the team’s match race helmsman and tactician.